A female fan who was having fun during a rap concert pulled American rapper, 50 Cent off stage as he was performing and he responded by landing her with a heavy punch in her chest. The rapper was performing with The LOX during their Filthy America...it's Beautiful tour in Baltimore on Saturday when he was being aggressively pulled by the lady. According to TMZ, 50cent had reached into the crowd to shake hands and a woman in a flowered dress grabbed his arm and pulled him off the stage. The rapper in order to free him from her grasp gave her a punch. 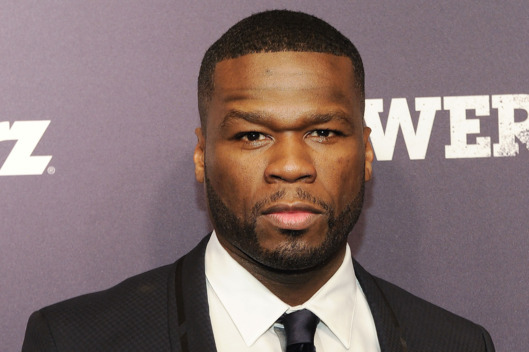 After the punch, 50 cent told one of his crew members to bring the lady onstage. She later was seen twerking as if she was one of his backup dancers while the rapper carried on with his performance.